Welcome to The Riverdale Review, a continuing series on the ever-popular television drama, Riverdale. Today, we are singing along to the sixteenth episode of the third season, Big Fun – with music from Heathers! This week, the Riverdale episode Big Fun incorporated music from Heathers, a Broadway musical based on a dark comedy film from 1989 of the same name. The plot wasn’t drastically furthered in this episode, but rather bonds were deepened between characters. Relationship trouble and buried secrets come up as couples, friends, and families are tested. 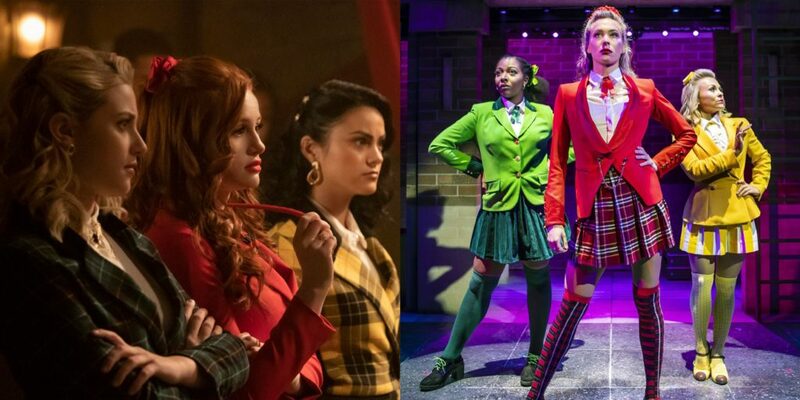 As the audience is exposed to the music of Heathers with the opening number, key roles are highlighted. Cheryl, Veronica, and Betty are in the spotlight as leading ladies playing Heather Chandler, Heather Duke, and Heather McNamara respectively. 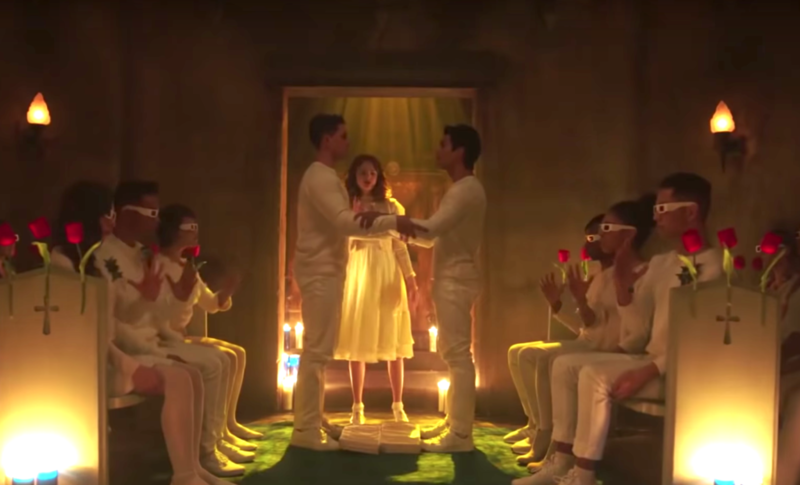 Secondary parts belong to Josie, Sweet Pea, Archie, Reggie, Jughead, Toni as the choreographer, and Kevin as co-director – with Evelyn Evernever. Given their recent spat and their love of the spotlight, Toni and Cheryl take centre stage right off the bat. Cheryl is dismayed that Toni has come on as choreographer; she becomes irritable and competitive. The pair duke it out in song, but it solves nothing. Jughead, not the acting type, squeezes in time over the course of the episode to find the trailer he called home before moving into the Cooper house. The park where it sat had been ransacked and it had been stolen, along with lots of pharmaceuticals. This leads Jughead to be convinced that his mother has taken it for a mobile drug lab, and he sets all serpent members not already working on Heathers to find it. Meanwhile, Betty confronts Evelyn about her motives behind co-directing with Kevin. Evelyn’s additions to their schedule, including an “exercising trauma through art” stance and sermons before rehearsal, added on to the fact that the Farm is sponsoring the musical, encourage Betty to believe that she is recruiting miserable teens by taking part. Evelyn continues to insist that her intentions are only to have fun. In this spirit, she announces a cast party for the whole crew. Our final Heather struggles with a quintessential teen problem; her parents. Between rehearsal and the party, Veronica stops at home only to find her parents waiting for her in the shadows. With trepidation, Hiram reveals that he and Hermione are getting divorced. Veronica takes it as a joke before the reality hits her. 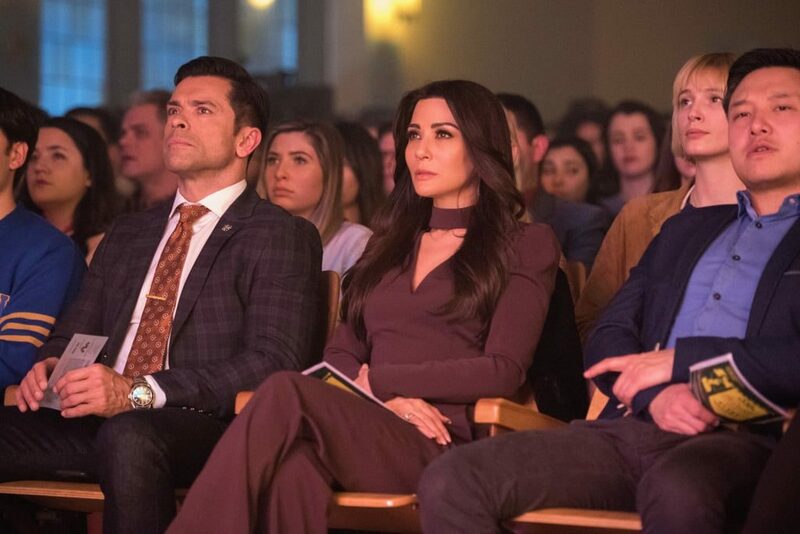 She insists that they can solve whatever’s going on as a family, but Hiram coldly denies the possibility. When he leaves, Hermione tells Veronica that he found out about her selling his drugs while Hiram was in the hospital. This is when we arrive at the party, as Veronica announces that she could use a drink after the night she has had. With that, the festivities commence! In their rendition of the song Big Fun, we are exposed to the various tensions hidden underneath the surface of their lives. Veronica is among them, making out with her ex-boyfriend Reggie. Sweet Pea catches his summer fling, Josie, in a private moment with Archie. Cheryl is dismayed when Toni joins in. And as Evelyn leads the festivities, Betty becomes a wallflower, keeping an eye on the Farm leader. The night culminates unexpectedly – Veronica and Reggie, in bed together. Pillow talk leads to relationship talk and Reggie asks if maybe they are meant to be together. Veronica silences him with a kiss. Meanwhile, back at the party, Kevin takes a mushroom brownie from Evelyn and begins to hallucinate. Haunted, he sees Midge (the girl who was killed during his last school production) hung on the wall with knives and accusing him of being responsible for her death. The high of the party crashes quickly with the lows of reality. The next day, Evelyn prompts the hungover group to share a secret they have never told before with the rest of the cast. Kevin kicks it off, revealing that he has been haunted by memories of Midge ever since the musical started. Midge’s ex-lover Fangs is quick to jump in, echoing Kevin and describing nightmares he has had about Midge. The rest of the cast begin to join in on the secret telling, starting with Sweet Pea. He talks of how he had wanted a relationship with Josie, so it hurt to see her and Archie “getting cozy.” This leads to questions about if the two are a couple or not, and spirals to make Reggie wonder if it had an influence on his reunion with Veronica. Feeling accused and prompted to share by Evelyn, Veronica reveals to the group her parents’ circumstance. After the meeting, Josie and Archie discuss the reveal of their relationship. Archie suggests that maybe they make it official, but Josie insists that the pair were only together because they were lonely. 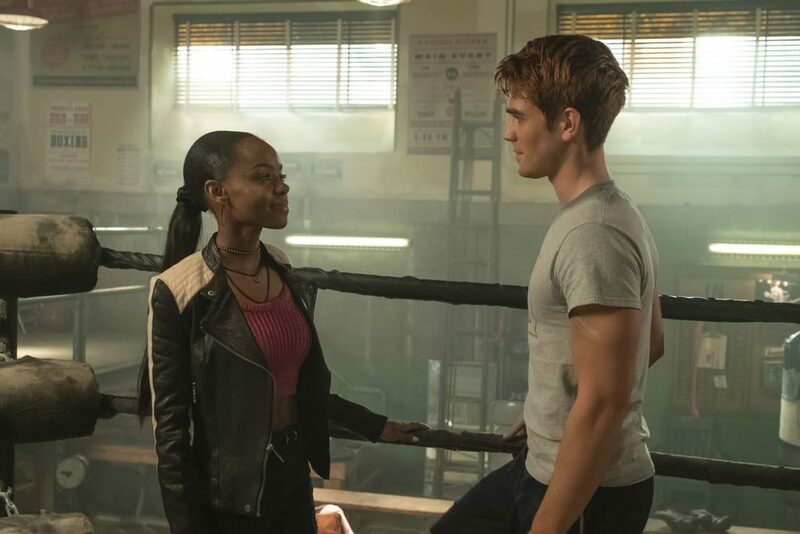 Offended, Archie leaves, but texts her later to meet up at his boxing gym. In a heartfelt speech, he agrees that if she doesn’t like him, she doesn’t have to. But if she does, that they should start figuring out what they can be to each other. In a true Archie fashion, he says he wants to fight for them. With a touching duet, the two agree to try. 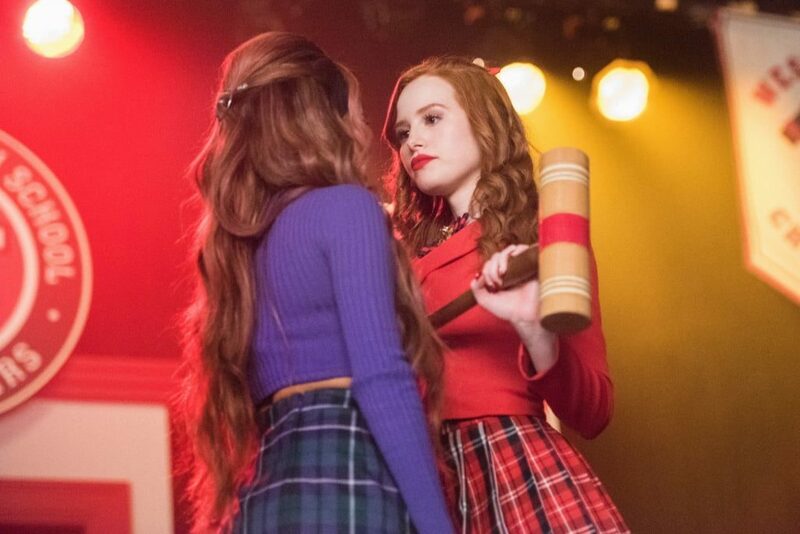 Things heat up between Cheryl and Toni when Toni arrives at school wearing red. Cheryl insists that Toni switch schools by Monday, claiming that this prompts a solo from Toni, deciding what to do with her last hours at Riverdale High. She pulls Sweet Pea and one of the Pretty Poisons to the auditorium, but while they strip, she has a vision of Cheryl. When she turns around to find them in their underwear, she announces that she shouldn’t have brought them and can’t go through with this. As Sweet Pea and the Poison share confused looks, Toni escapes off stage. The next morning, she arrives at Cheryl’s house with tea. Toni asks what love was like in Cheryl’s home, and Cheryl describes the eerie and shadowed hallways of Thornhill, only lightened by Jason. And then Toni, but one had disappeared, so why not the other? Toni insists that she’s not gone and says that maybe there was still hope for them. Betty’s ongoing investigation uncovers a private meeting for only certain cast members, hosted by Evelyn. Spying through a half-open door, she watches members of the Farm sit around Kevin and Fangs. The whole group is dressed in stark white and singing to each other about love and God. The two have never been noticeably close in previous episodes, with no other common ground other than Midge’s death, but their chemistry seems electric in this ceremony. Despite photo evidence in hand, Betty’s accusations of any wrongdoing are dismissed by Weatherbee, who seems oddly enchanted by the Farm. She turns to Jughead, who announces he has news too and asks her to meet him. She does, to find him in his old trailer, now turned drug lab. In their rendering of the song Seventeen, the pair wonder how their life turned from normal teen problems to drug lord mothers and serial killer fathers. They describe what they would do if they were just seventeen and share a touching moment. The episode comes to a head just before the musical’s opening night. Betty and Jughead wonder what to do with the trailer now that they’ve found it, and Veronica begs her father to forgive her mother for selling his drugs. As Betty encourages Jughead to let go of the trailer and the memories attached to it, Veronica hears from her father that Hermione tried to have him killed. Twice. Veronica’s solution is to come to peace with her parent’s divorce but to ask them one favour. She invites them to the premiere, together, for one last happy memory. Betty and Jughead find peace too, if with slightly more aggressive methods. They arrive barely on time to opening night covered in soot, having just burned down Jughead’s childhood home. The musical’s finale has their parents enthralled. When the last note is done, a hush falls over the crowd. It is only broken by the steady clapping of a man, dressed in white. Evelyn beams with pride and we discover that this is her father, Edgar Evernever. Other members of the farm join in, standing, but it is not the happy clapping of a delighted crowd. Rather, they clap in eerie unison, following Edgar’s lead. An uncomfortable air fills the room as they grow louder, and the episode comes to an end. Trigger Warning: Discussion of suicide and school shootings ahead. Please continue with caution. Talking about Riverdale’s musical episode this week with people who don’t watch the show has been like telling someone Edgar Allan Poe was a comedian. It’s a little unorthodox, I’ll admit, but as I tell people who don’t understand, just because it’s unexpected and unusual doesn’t make it a bad thing. Quite the opposite, really. Besides, this is the second musical episode Riverdale has produced, so it’s not quite as unexpected to the fans. Incorporating music gives the show a lot of added weight and allows the show-runners to delve into more complicated emotions. A musical designed to showcase teenage problems fits perfectly into Riverdale. One must wonder though how much of the season’s plot was built around this episode, to place characters in the positions they wanted for different roles from Heathers. I have never personally seen Heathers, the musical or the movie, but after this episode, I’m inspired to. A quick google search can give you a lot, though. Winona Ryder played the main character of the film, Veronica. Reading that she was begged by her agent not to take the part and did it anyway told me a lot about the film off the bat. Heathers was controversial when it first came out, but more with parents than teens. In one article, the BBC likened it to 13 Reasons Why, a Netflix original series about teen suicide. They suggest that if Heathers came out today, it would have to take the same steps as 13 Reasons Why did shortly after release (offering mental health resources and having its stars speak out), due to the massive backlash over the graphic details portrayed in the show. The article discusses though that rather than its associations with suicide (like 13 Reasons Why), Heathers’ issues today would be due to increasing violence in schools. Curious, I read up on the plot. To my understanding, Heathers is often misconstrued as a film about teen suicide. In reality, the character of Veronica and her boyfriend JD kill Heather Chandler and pass it off as her suicide. This sparks a series of other tragedies in the school, and murders at the hand of JD. It culminates in his attempt to blow up the school at a pep rally. When Heathers came out in 1989, there was only one notable school shooting in the USA that year, at a Cleveland Elementary School. Data by the United States Center for Homeland Defense & Security suggest that there were 16 school shootings total that year. According to the same data, there were a total of 97 school shootings in 2018, and 19 by the date of this article in 2019. In the article by the BBC, they bring on media psychologist Dr. Jennifer Johnston of Western New Mexico University, who studies the link between the publishing and reporting of mass shootings and copycat killings. She discusses that the characters in the film “represent [the kind of people] that high-school shooters often say they identify with,” and that she “watched heather as a teenager in the 1980’s and [she wasn’t] sure [she] totally understood then [that] it was satire.” The article discusses how the film is good and funny but has become a more sensitive issue today. 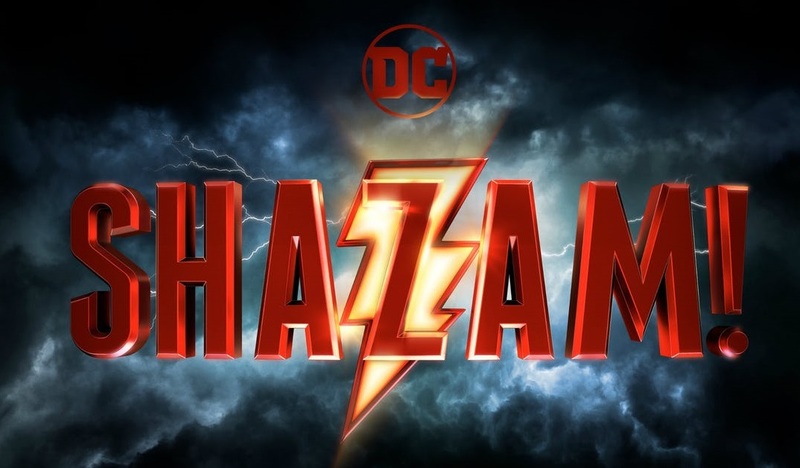 A spin-off of the film was even pulled following the Parkland shootings. In the article Lisanne Falk, who played one of the Heathers, talks about her teenage daughter’s interpretation of the film. Her daughter expressed that the relatable part of the film was the dynamics of high school, the categorization of the teens there, and the story of finding who you are among other people. These messages ring true to teens across generations. The plot which the themes were built upon, however, has lost its amusement and fantasy when we face 97 mass shootings a year. 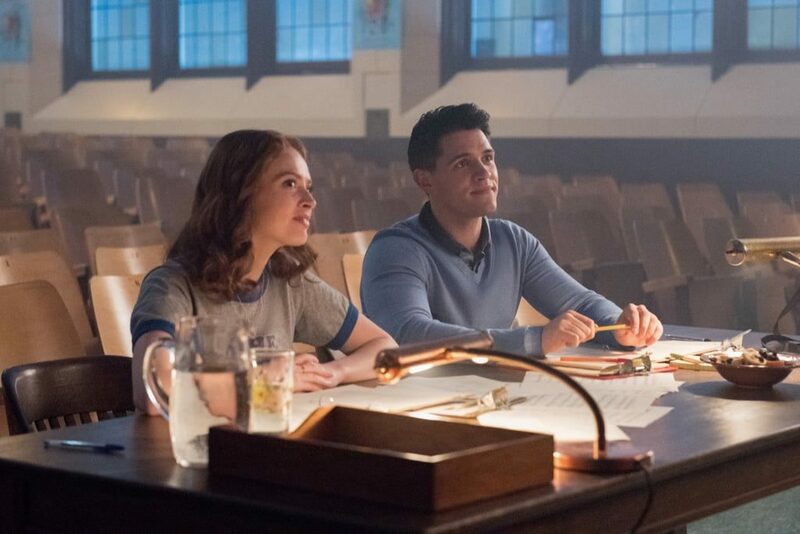 What all this research on the musical tells me is that Riverdale did a superb job of cutting the teen dynamics out of the film and leaving behind the now controversial plot elements. Instead, the teen relationships are built around Riverdale’s preexisting drama. Today’s Riverdale Review is a slightly longer piece because they accomplish this so well. No character, side or otherwise, is left out of the action. Everyone has a part to play, and Riverdale has perfected the art of jumping between complex and interlocking storylines. Let us know what you think down in the comments! 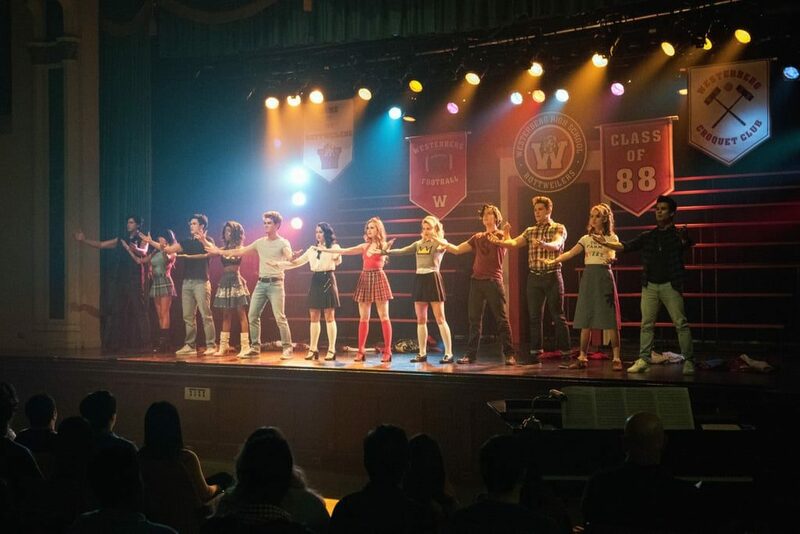 Was it silly of Riverdale to do a second musical episode? Were there any characters you really connected to through the music? Do you think the Farm is as sinister as it seems? We want all your details!